Ashfaq Ahmed is a unique figure in Urdu writing in Pakistan. His work well-admired among the gathering of all other Urdu writers. His writings are sincere, sensible, thought-provoking, religious as well as humorous. Ashfaq Ahmed is a writer, broadcaster, and a playwright as well. He has written many books in Urdu. In Urdu further, his work is divided into different fields like short stories, novels and plays that he wrote not only for television but also for radio. He has also received many awards due to his golden writings. Ashfaq Ahmed married with Bano Qudsia. She was also a famous writer and known Aapa in literary circle. Ashfaq Ahmed is born on 22 of August 1925 in Firozpur a renowned city of India. He belongs to an ethnic community of the Pashtuns. His Pashtuns tribe is known as Mohmand Tribe. He got his early education from his native village in the district of Muktsar. But after the partition of Subcontinent, his family decided to migrate to Pakistan. He chose Lahore as a residing city. Lahore is a major city of Pakistan, and it is a famous city in the field of literary activities. If you go through the short life histories of all prominent writers of Pakistan, you will find that most of them have spent their whole or some part of their lives in Lahore city. He got admission in Government College Lahore from where he got his master degree in Urdu literature. Bano Qudsiya with whom he married later is also his class fellow in Government College. At the time of partition, Ashfaq Ahmed was very young, so he involved himself in the welfare activities for the refugees. He provided his services for the directing announcements to help the migrants. Later after the partition, Ashfaq Ahmed started his early career as doing a job in radio bus that used to move into different areas of Kashmir. But then after completing his education, he began teaching as a lecturer at Dial Singh College, Lahore. He taught here in this college for two years. Later, Ashfaq Ahmed went to Rome, Italy where he performed his duties as an Urdu newscaster. Furthermore, he also attached himself to Rome University where he taught Urdu as a teacher. 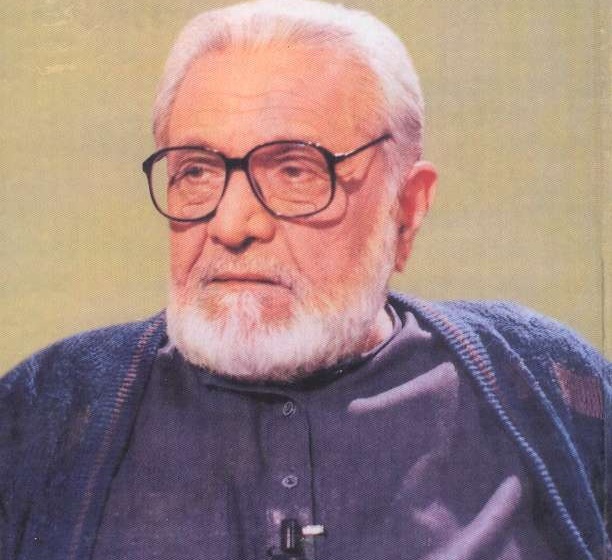 During his residing period in Europe, Ashfaq Ahmad earned diplomas in Italian and French languages from the Sapienza University of Rome to enhance his linguistic proficiency. Further, he also got a diploma in radio broadcasting from New York University that also added extra qualities to his personality. Ashfaq Ahmed attached himself with literary activities from his early childhood. He started his writing skills with the Phool Magzine. He formally participated in his field after returning from Europe when he began his monthly literary magazine known as “Dastaango” means storyteller. Ashfaq Ahmad also joined Radio of Pakistan as a scriptwriter. He also performed his duties as an editor of a well known Urdu weekly “Lail-o-Nihar” (day and night). He also used the name of Talqeen Shah for his programs. In the previous years, Ashfaq Ahmed moved to Sufism and spiritual activities. He turned his association to the inclined personalities to Sufism like Qudrat Ullah Shahab and Mumtaz Mufti. Ashfaq Ahmed died on 7th September 2004 due to pancreatic cancer. He is laid to rest in Model Town, Lahore, Pakistan. Ashfaq Ahmed got many awards. Some of the prominent awards are following. Ashfaq Ahmad wrote many novels, short stories, and dramas. You can read below-mentioned books or view them by clicking on them. At last, I hope you like the complete wiki of Ashfaq Ahmad. You may also wish Shaukat Thanvi: A Classic Humour Writer.